This thread is going to be covering the difficulties of different supports for Braixen. How I classify these supports are completely off of my own opinions and experiences having tested and used these supports in numerous sets. The positions of these supports can change from patch to patch so expect this to actually get updated as time goes on and I learn new things with current and new supports. The way I've placed each support is based on ease of use, flexibility, and the number of matchups they cover. Keep in mind that just because a support is in an "Advanced" level support group doesn't mean it can't cover a large number of matchups. Same with "Beginner" supports, they may be easy to use but there could be a few matchups where you may want to pick something different. Beginner Level Supports: All supports in this tier are fairly easy to use across all matchups and have generous charge/recharge timers for Braixen. With the exception of a handful of supports that have a 40 second timer for their first charge (Umbreon, Ninetales, Lapras, and Jirachi), you'll be able to call many of these supports upwards to 3 or more times a round depending on which cheer skill you're running. Beginner level supports also work for any style of play with Braixen; aggressive, defensive, hit-and-run, these supports help to make these styles of play more potent. Intermediate Level Supports: The supports in this tier require a bit more knowledge to use correctly and have a bit more limited use from matchup to matchup. These supports take a bit more effort on your end in order to maximize effectiveness. Supports like Dragonite and Quagsire do amazing amounts of chip, but they require you to do additional setups or be in the right position before you can get the most out of them. Supports like Rotom and Electrode boast amazing potential for big damage but you have to make the call at the right time or they'll be wasted. Many of these supports cover a number of different matchups in ways the supports in the Beginner Tier can't. Advanced Level Supports: These supports actually take a large amount of practice and situational awareness to use effectively. They also require good resource management in order to use effectively. These supports can easily be misused and/or wasted in most situations and because of that, can seem weaker than they actually are. Make sure you know what you're doing before you pick any of these supports. If you have any questions about a support in particular, please leave your questions here and I would be glad to explain why I placed them there in detail. Can you explain more on Farfetch'd? What situations/match-ups does farfetch'd shine and what makes them an advanced support? What makes Farfetch'd more of an advanced support is how difficult it is to use. The support itself is extremely useful across every matchup in the game and various situations although he tends to shine more in matchups where the opponent has very few or limited ways to shift you into Duel from Field. What I mean by hard to use is that to get the maximum amount out of Farfetch'd you need to know when and where to use it and have complete confidence in your pressure behind that call. Farfetch'd hits 3 times, but deals a low amount of chip damage and a fairly low amount of actual damage when it hits. You also have to keep in mind that all 3 hits are not a true blockstring and allow for the opponent to CA or jump out, giving them a chance to turn the situation around should you make a misstep. It's amazing for whiff punishes, especially in field where it travels an insane amount of distance, but you have to take that travel time into account. If you aren't close Farfetch'd may not make it to the opponent in time or maybe you won't be able to close the gap convert in time if it does hit. Another thing Farfetch'd is good at is trading, which ties into the confidence issue I brought up earlier. If you're aware of how much HP you have left and how much PSP is left on both sides, a Farfetch'd call against a button they're currently pressing normally gives you a trade that is in your favor. If that trade doesn't result in a combo or momentum for yourself, at the very least you opponent won't be able to get the best oki they want or it'll be a complete reset of the situation. There's just a lot of things to take into consideration when using Farfetch'd that I think makes it an extremely difficult support to use without a lot of practice and situational awareness. Hopefully this clears up your question. If you have anything else to ask just let me know and I'll answer them when I can. Both of these are harder than you'd expect to use for multiple reasons. To me, Diglett doesn't cover any matchups better than other supports in this or any of the lower tiers. What makes this support a bit more difficult to use is that it's sole purpose is either grant you chip or net you a grab. In field, it's a fairly potent tool for bullying certain characters like Machamp, Blaziken, and Empoleon. But even then it doesn't do its job better than other assist like Frogadier as the threat of it is easily nullified by walking into it and blocking early and some characters can just ignore it completely. It's a support that requires a lot more effort to make work than it's worth. Now for Magikarp. Long story short, people currently respect this support way more than they should. Does it stop combos before they start? Yes. Does it apply an obnoxious speed down and possibly give the opponent oki if it hits? Yes. But there's counter play to it that people aren't considering. The most straightforward counter play to Magikarp is to completely ignore its existence. If it hits you, learn to play with a speed debuff and rush the opponent down anyway. Unless they get blown back from the wall after a Duel to Field shift you're still allowed some sort of oki to keep the opponent from making a get away to charge Magikarp or run the timer. Another way around it is to make the trade completely not worth it for them. If you're a character that can put out 80 damage or more in a single hit, use that move. If you have a health lead, you're only further cementing it instead of allowing them to even it up with chip damage or a grab. Or, you can trade with a move that knocks them down longer than Karp knocks you down. Or by hitting them with a move that launches them too far to get good oki from. You can wait it out, especially if the opponent wants to play keep away, it the timer isn't low you still have plenty of time to make a comeback later in the round and if they're playing keep away, that's a chance to CADC and gain synergy. The last thing no one seems willing to do if Magikarp is called is burst . Especially if you're a 100-200cc character. 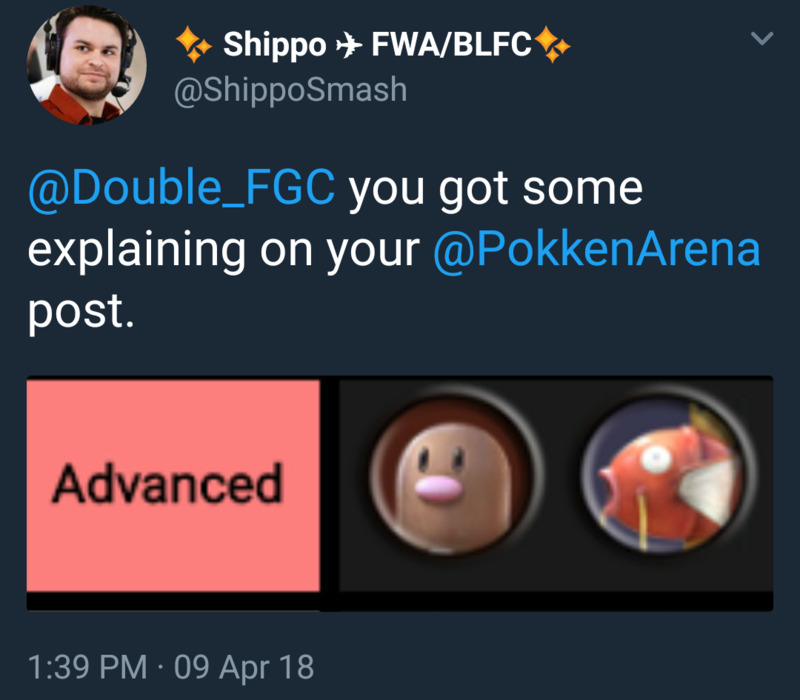 If Braixen, or any character for that matter, calls Magikarp in neutral activating burst is a way to get rid of it and turn the tide in your favor. Unless you terribly misplay your burst mode, you now have all the pressure and advantage against the Karp user. Worse case scenario, they counter activate burst and now you're back on mostly even footing. Best case, they hold onto their burst for too long and you're allowed to make a comeback if you don't just outright win the round. And that's why I think Magikarp is a more difficult support to use as Braixen. Because there's a lot of counter play to the support that people aren't taking advantage of. Against anyone that's adept at fighting against Magikarp, it's a much less overwhelming a support as it first seems. I know it’s also part personal preference but what would you recommend for a support in an aggressive play style? Eevee, Frogadier, or Farfetch'd. You're forced to do something with the Eevee attack buff or else it's just a wasted pick. Frogadier provides you extra cover and trading potential at most ranges and even sets up for safe grab attempts. Even if they try to tech it, Frogadier will hit them during the tech animation and allow you to follow up with a combo anyway. Farfetch'd, although the hardest to use of the three, is extremely flexible in how it can be used on offense and as a defensive tool it's lacking unless you already have the opponent respecting you.